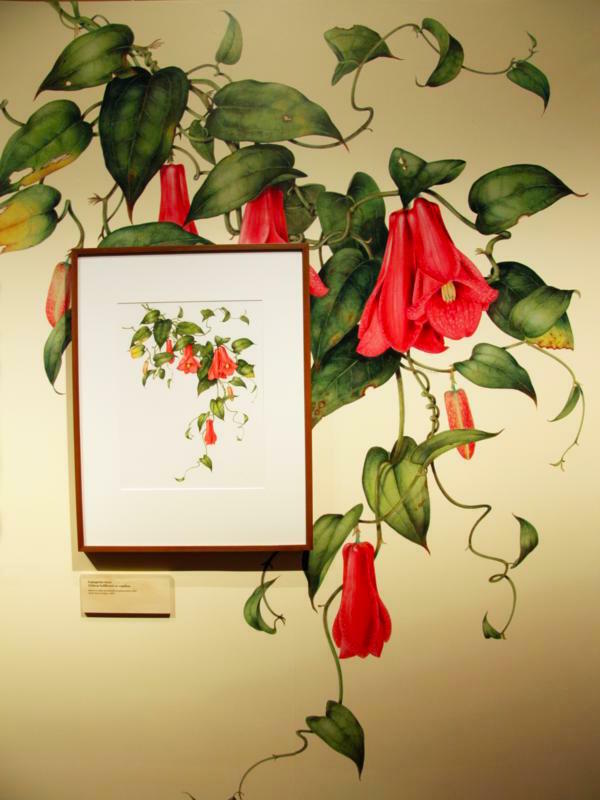 Florilegium: Sydney’s Painted Garden is the exhibition of the efforts of The Florilegium Society of The Royal Botanic Gardens Sydney. ‘Contemporary paintings of plants at the Museum of Sydney’ sounded most alluring to me, so I was going! I had quite high expectations, and it quite exceeded them! Neither an art critic nor a curatorial expert, my review uses their information, my view as a ‘plant person’, and what others were saying – ie eavesdropping. I overheard from some who appeared to know their easels from their oils. They were inspecting the paintings at almost nose-touching range. 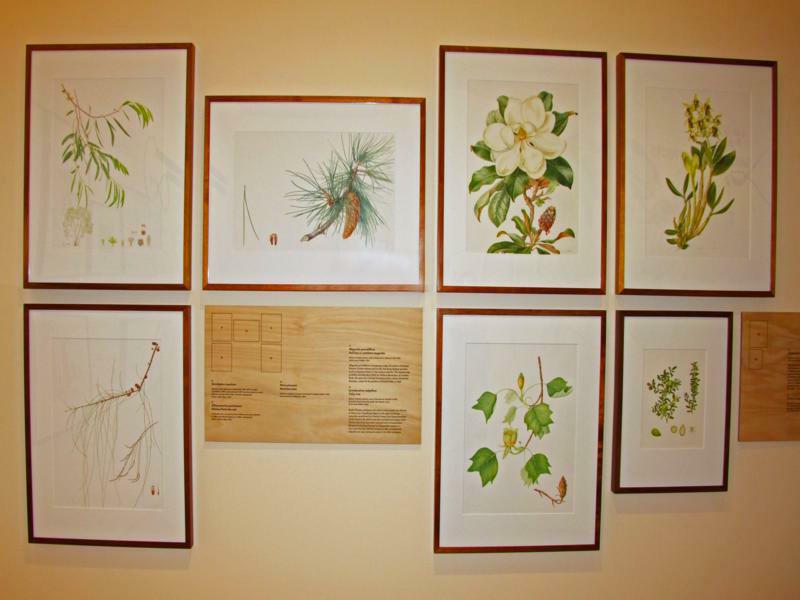 In 2005, botanical artists formed The Florilegium Society to create a collection of botanical paintings of significant living plants at the Royal Botanic Gardens Sydney. 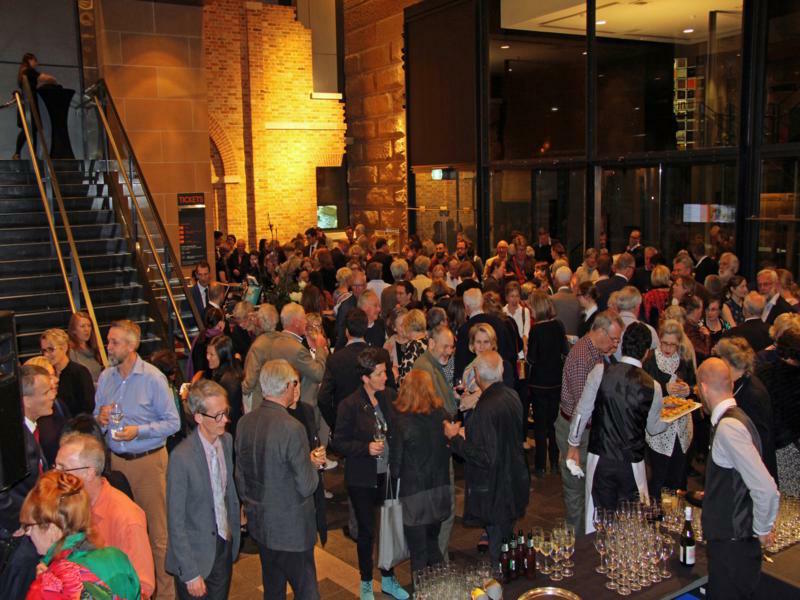 The artists involved made a bicentennial gift of the paintings to The Royal Botanic Gardens and Domain Trust, and Colleen Morris and Beverly Allen curated them for this remarkable exhibition at the Museum of Sydney. 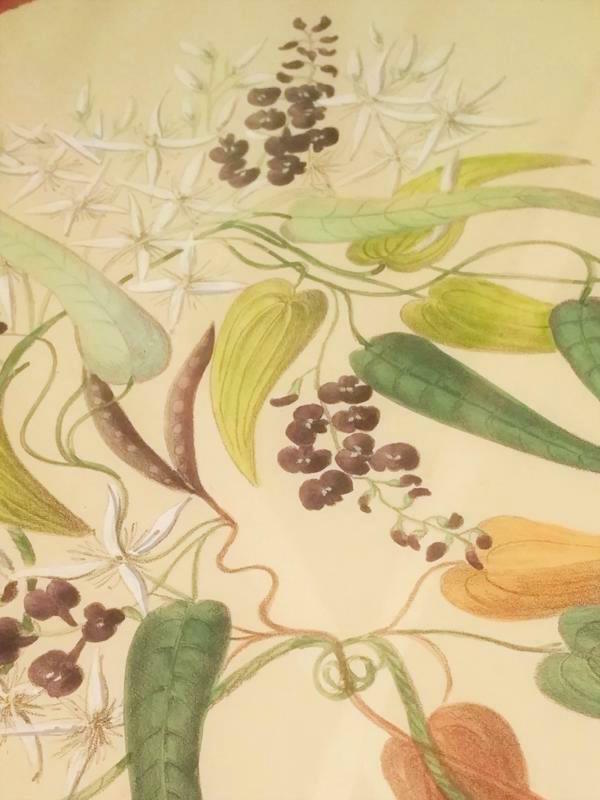 It showcases the long tradition of botanical art and its renaissance, also demonstrating the botanical and horticultural development of The Gardens and their link to domestic gardens and public landscapes in NSW from 1816 to 2016. The Florilegium: The Royal Botanic Gardens Sydney – Celebrating 200 Years presents this major collection of contemporary botanical artworks in book form too. You can read about it in the book review HERE. he added. He wondered whether plants would be better ‘sitters’ than people. He thought, and I think the artists agreed, that plants in fact are more difficult subjects as they continually change across the lengthy time it takes to create the artwork. 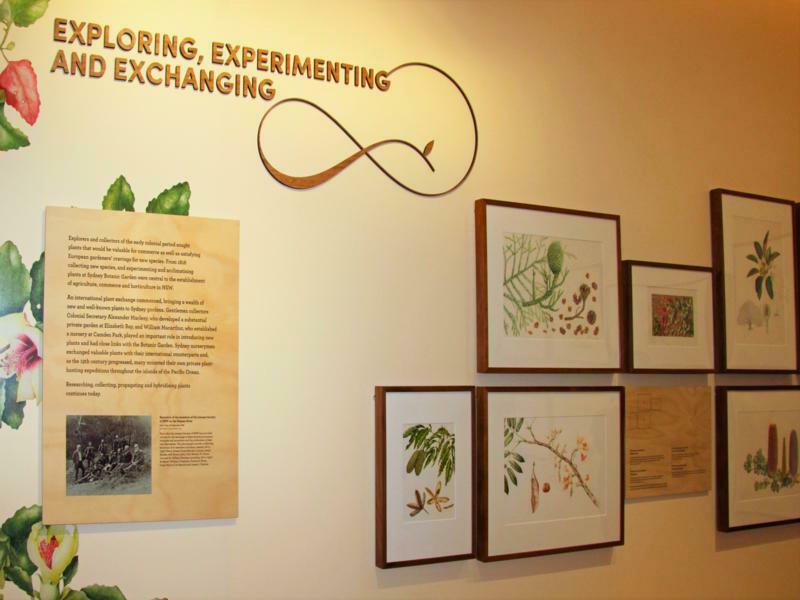 Each plant in ‘The Gardens’ has a story which is told by the exhibition. This also invokes so many of the creative people from across the years. The book itself is chronological, while the exhibition is grouped in sections which explain the story of the Botanic Gardens. Numerous ancillary stories belong to each of the paintings, and tell of past directors of the Gardens. Groupings of the paintings include Exploring, Experimenting and Exchanging; Gardenesque Effects; Romance of the Rainforest; Remarkable and Interesting; and Cooler Climes. Each section has an introductory summary, giving an absorbing account of that ‘groups’ area of interest in enough detail to be interesting but not too much to detract from the works themselves. In contrast to these contemporary artworks, there is a second show on with botanical paintings from the 1890s – The Artist & The Botanical Collector: the Lost Works of Lovegrove and Bauerlen. 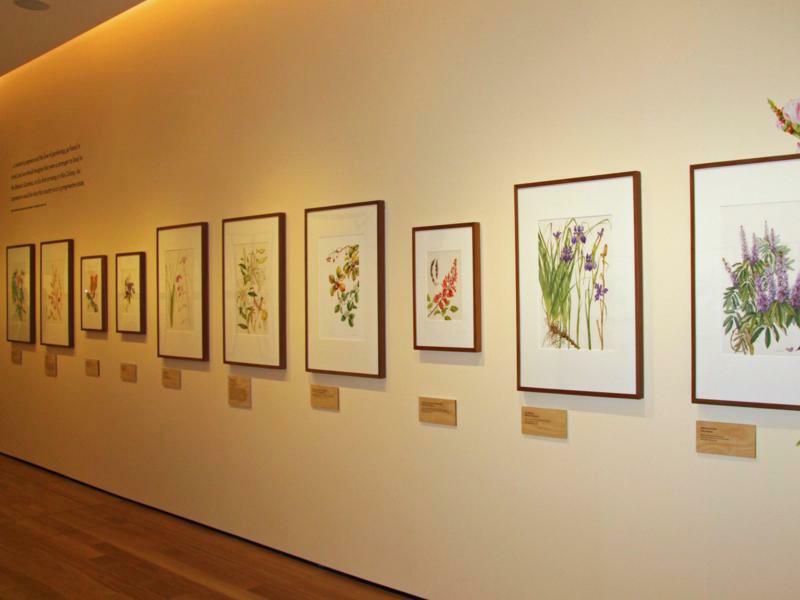 It features a collection of original wildflower paintings from the 1890s. 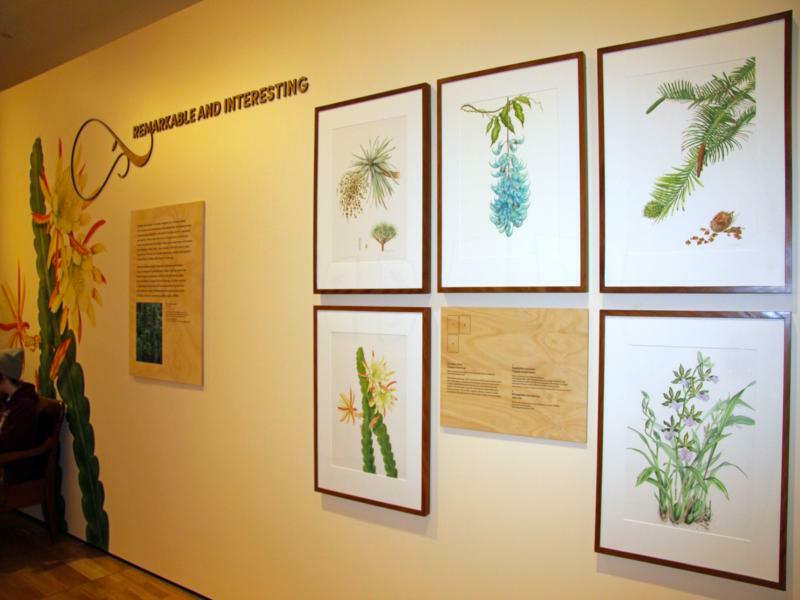 This exhibition highlights the partnership of amateur artist Gertrude Lovegrove and botanical collector William Bauerlen, revealing their ambitious attempt to produce a multi-part publication called The Wild Flowers of New South Wales. Part 1 was published in 1891 as a loose-leaf folio publication, intended as the first of 25 parts. 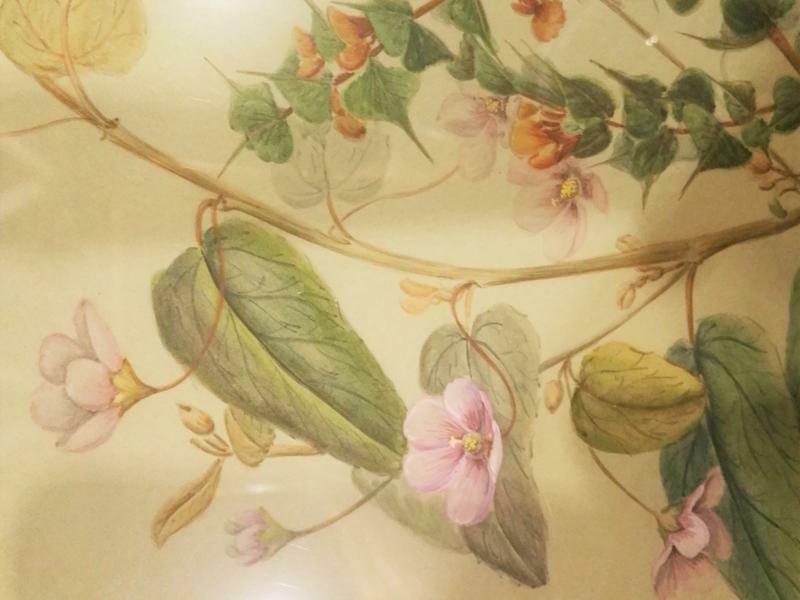 The plates were produced from original watercolours by Gertrude. Unfortunately, there were not enough subscribers, making Part 1 unique and rare. One of these copies was recently discovered amongst a Nowra collection in a Sydney Living Museum’s house. 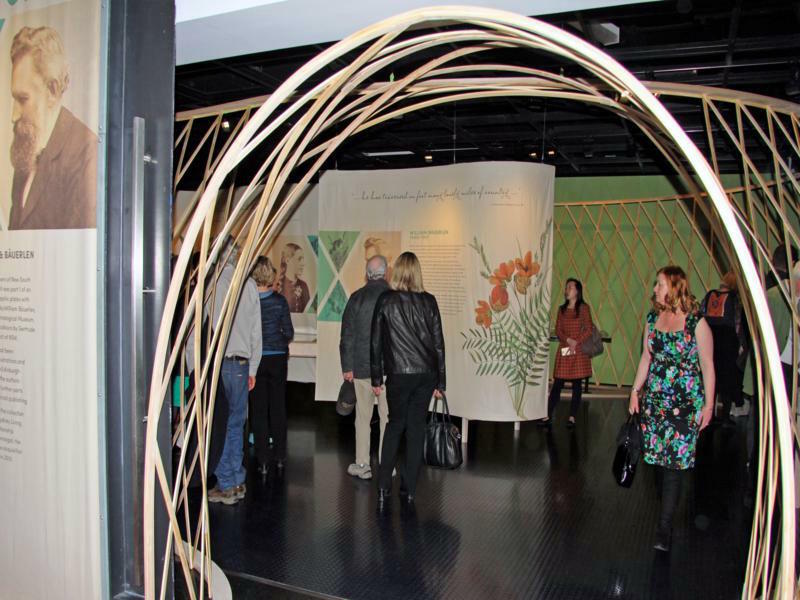 The exhibition reveals the story and the people involved, as well as providing enlightening information about Wildflower publishing in colonial Australia. 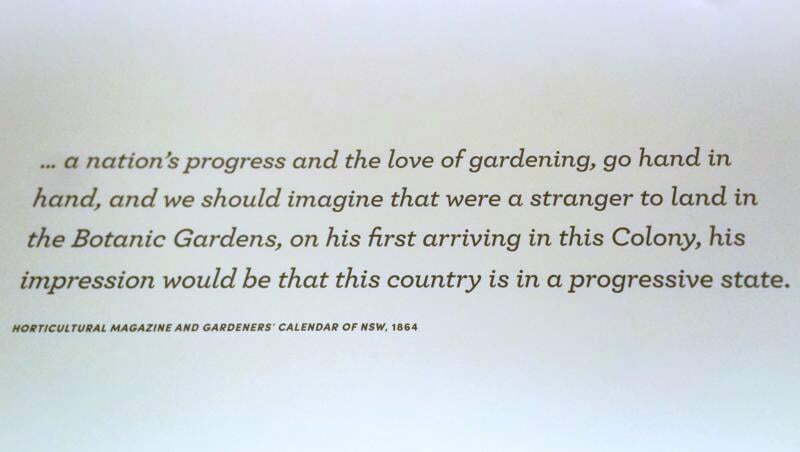 Bauerlen (1840-1917) was a plant collector who worked for Ferdinand von Mueller and Joseph Maiden at different times and who urged the cultivation of native plants in gardens. Thousands of his herbarium specimens survive, used to described at least 70 species or subspecies, and he has 20 named after him including Eucalyptus baeuerlenii. Gertrude Lovegrove (1859-1961) had a genteel background, having an ‘ornamental education’ that included music and drawing. A talented pianist, she also won prizes for her flower painting. It is thought her father William Lovegrove tutored her, and was also William Bauerlen’s patron. These exhibitions are delightful, and beautifully mounted productions. If you have even a passing interest in art, plants or history, I urge you to spend two or three hours steeped in an enriching experience. 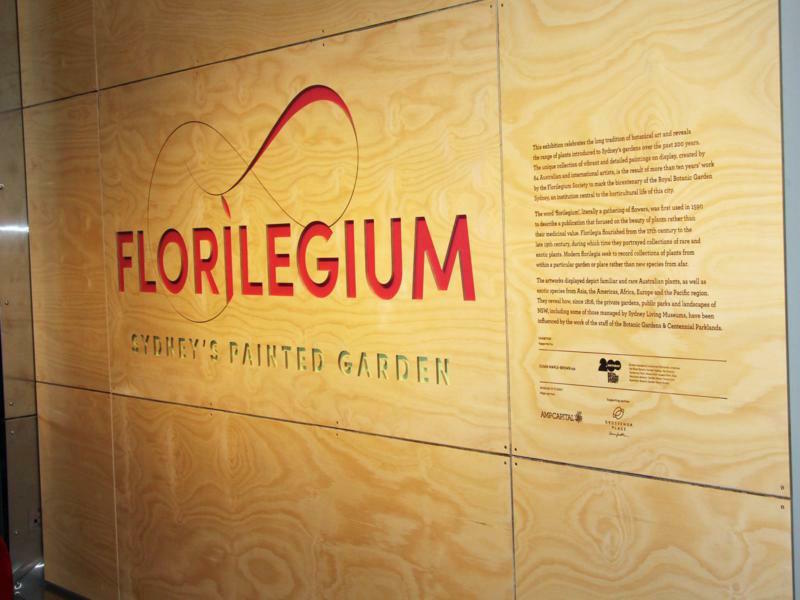 Florilegium: Sydney’s Painted Garden – Museum of Sydney 30 July to 30 October 2016. The Artist & The Botanical Collector – Museum of Sydney 13 August to 20 November 2016. Both exhibitions are open 10-5pm daily, entry free after museum entry: Adult $10, Concession $6, SLM members $0. I’m a landscape designer and enjoy working with most anything botanical in nature. Based in Sydney Australia, I am also editor of Landscape Outlook, journal of the Australian Institute of Landscape Designers and Managers (AILDM) and write on gardens and their design. I have been guest editor of GardenDrum while Catherine escaped for an overdue and well-earned holiday.